Disregard what you have seen at other dealerships located near Des Moines; Stivers Ford Lincoln is your home for the the top prices on any trade-in car, truck, or sport utility vehicle (SUV). Whether you are in the market to upgrade into a new Ford despite still owing an outstanding amount on your present ride or you own an obsolete automobile that is lying around and racking up dust, you can trust in the fact that our trade-in workforce will give you the tools needed to secure the highest value possible for your car. 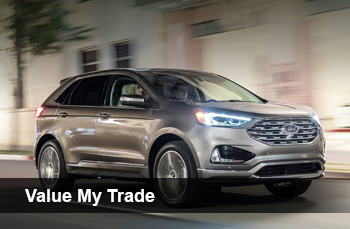 Looking to find out how the committed trade-in staff located at Stivers Ford Lincoln is completely revolutionizing the trade-in process and going above and beyond competitors in Des Moines that still rely upon unacceptable tactics and underhanded practices? Then make it a priority to follow along as we break down precisely what makes up our top-tier trade-in process. As far as distancing ourselves from the rest of the dealerships found near Des Moines, Stivers Ford Lincoln distinguishes itself as the only dealer that puts your potential trade-in value first. To show you exactly how serious we are, you need to look no further than the way the men and women who take care of trade-ins at Stivers Ford Lincoln conduct themselves during the car trade-in evaluation process. The Opportunity to Connect with the Most Accommodating Staff in Town – Providing the best trade appraisal process to our friends in Waukee and Des Moines is a core part of the Stivers Ford Lincoln experience, so we always go out of our way to treat you with the exemplary service you expect. From handling any query that enters into the conversation to digging into all of your other comments and concerns, our trustworthy trade-in professionals are prepared to go above and beyond to guarantee you are happy and satisfied with our appraisal process. A Rock-Solid Highest Value Assurance – We understand fully you wish to get the most out of your trade-in, so we always go above and beyond with the most honest and customer-friendly appraisals available. If you think you might have stumbled upon a better deal on your car at another dealership, give us a visit and you can count on us to not only match this price, but also to do better by you. Kick Stress and Hassles to the Curb – By coming in for an appraisal from the professionals here at Stivers Ford Lincoln, you can take confidence in the fact that this process is completely without stress. We never force our valued shoppers into a hurried choice, so take as much time as you need to consider all of your options and find the way ahead that can be molded to your particular needs. While maintaining these top- tier principles is far from a laissez-faire process, the Stivers Ford Lincoln team would never have it any other way. Your experience is what motivates Stivers Ford Lincoln, so we are always willing to go above and beyond in the effort to meet these elevated values. Before going any further, we need to take a moment and expound upon our staunch attachment to transparency and sincerity during the trade-in valuation process. Despite the fact that other members of our local market utilize a substantial measure of shady practices as a means to keep you off balance and unsure, you can trust in the Stivers Ford Lincoln team to skip over the misdirection and keep you prepared and aware. Want a more expansive look into how we came to a decision on your trade-in value or why the Stivers Ford Lincoln team appraised this vehicle the way we did? Then go ahead and request some further insight. It will become quickly noticeable we have no problem providing you with all of the things that comprise this procedure as a way to keep you satisfied and caught up with everything that goes into this major automotive decision. So just how does Stivers Ford Lincoln give to you the price that works for you when it comes to your trade-in car? It all revolves around a commitment to taking care of the great men and women of Waukee and Des Moines. Instead of attempting to take advantage of our years of experience within the automotive industry, we aim to put an emphasis on fair pricing that measures up to critique and review from each and every customer who trades in a car with Stivers Ford Lincoln. Why we embrace this honest practice is easy to justify. "Pulling a fast one" on an unsuspicious visitor might bring in a little additional profit now, but being honest with you and the rest of our friends in Waukee and Des Moines guarantees you have a fulfilling experience and the incentive needed to stop by again the next time you want to think about your trade-in options. To put it a different way, taking care of you right out of the gate is the most effective route toward a longstanding connection with customers in the Des Moines area. In terms of what we are willing to consider during the course of the appraisal process, the response to this question is actually rather frank: Stivers Ford Lincoln is more than prepared to review any car, despite its present status. While other dealerships might levy stern restrictions or rules on what constitutes an adequate trade-in, our trade-in staff is ready and amenable to take a peek at just about any vehicle. Even automobiles in poor condition or needing some work are well within the scope of what we are willing to examine. The only caveat we require from you is that you bring to light any complications or concerns pertaining to the vehicle you know about during the trade-in process. By doing this, the Stivers Ford Lincoln group of professionals will have everything we need to have to guarantee we offer up the best offer imaginable on your trade-in automobile. How Do I Trade My Car in at Stivers Ford Lincoln? Are you eager to take advantage of Stivers Ford Lincoln's unique method of approaching trade-ins today? Then set aside a couple of minutes to hammer out the friendly appraisal form found on this page. After you have completed this form and sent over all of the information required, our certified appraisal team members will get to work on providing you with the most accommodating trade-in number just outside of Des Moines for your automobile.